Overlooking the spectacular Niagara River, the Niagara Glen Nature Centre offers a wide array of refreshments and unique souvenirs. Hand-carved wood products by Master Carver Frank Kim, framed artwork by local artist Paul Augustino and paintings by members of the Parkway Artists Guild are also available. Bouldering permits and supplies can be purchased at the Centre as well. 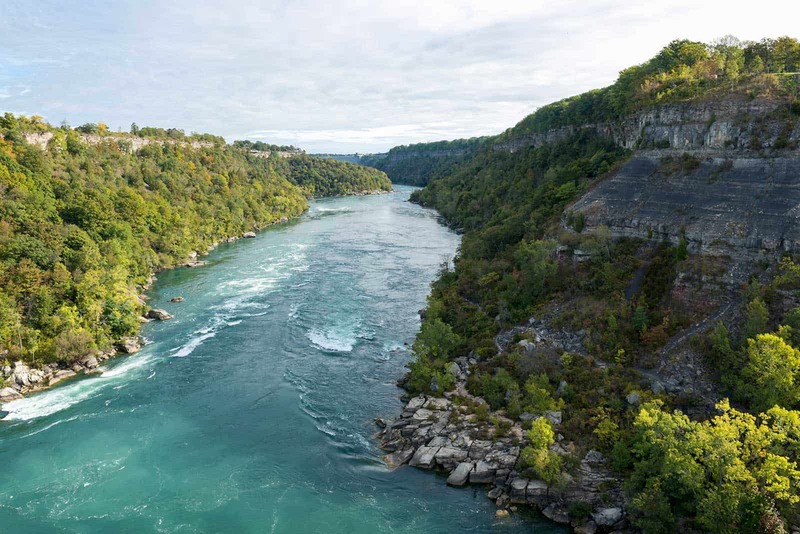 Niagara Parks Naturalists are available at the Centre to answer any questions you may have and to provide guided tours of the Niagara Glen during the spring and summer months. Daily hiking tours leave from the Niagara Glen Nature Centre at 11 a.m. and 2 p.m. Please call the Nature Centre for more information and availability: 905-295-4396 ext. 3261.